Sylvia T. Cunningham was born in Asheville, NC to the late Christine and Bill Smith Jr. She was the first born of six children. She is predeceased by her brother Bill G. Smith. Sylvia graduated from Fuller Normal Industrial Institute of Greenville, SC in 1960. 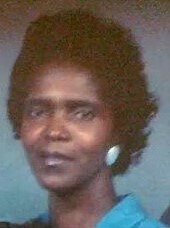 She was a homemaker that enjoyed cooking big Sunday dinners for her family and any friends that would happen to stop by. She was very compassionate of others and would always lend an ear or helping hand. She was always one who would put her family before herself and was always there to give great advice. Sylvia had a special place in heart for all her family, but shared a special bond with grandson Lyman. She enjoyed sewing, riding bikes, and crafts in her younger age. She enjoyed talking to people for hours, traveling, eating good food, and was beginning to enjoy connecting to friends and family on social media. She leaves to cherish her memory her husband of 52 years Thomas Cunningham of Asheville, daughters; Janet Smith and Kelly Mays of Asheville, Evette Lock of Florida and son Jerry Cunningham of Asheville. Her memory will be treasured by her siblings; Iris Williams (Reuben) of Delaware, Michael and Jerome Smith of Asheville, and Crystal Morrishaw (George) of South Carolina. Along with grandchildren Rotearian Cunningham, Jueqone Collins, Sheldon Collins, Manual Bates, Tycora Griffin, Lyman Cunningham, Diamone Mays, Anissa Bowditch, and Brianna Smith of Asheville, Omar Lock of South Carolina, Lamar Lock of Georgia, Erika Vinson of Florida, Jerrika Austin of Georgia, great-grandchildren; Amaya Cunningham, Juekhiyah Wyann, Jekhius Wynn, DeMarcus Graham, DeTravis Graham, and Jeremiah Bates of Asheville, and Carter Lock of South Carolina; a host of nieces, nephews, cousins, and friends; and an Aunt, Ethel Steele and an Uncle, Arnold Jones of Asheville. Funeral services for Mrs. Sylvia Cunningham will be held Saturday, January 26, at 2:00 pm at Brown Temple CME Church on 32 Phifer Street, Asheville, NC. Elder Damion McDay will be officiating. The family will receive friends at 1 hour prior to the funeral. Burial immediately following at Forest Lawn Cemetery.